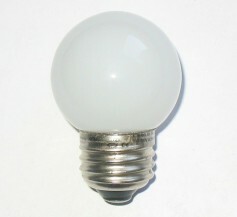 Replace a traditional 10 Watt incandescent S11 with this 1 Watt LED S11 bulb. 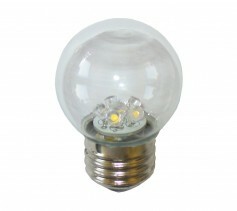 This S11 LED bulb is available with a small frosted globe cover or a clear glass globe. Applications include, Marquee Lighting, Signage Lighting, String Lighting, Festival Lighting and Amusement Park Lighting. Can be used with chasing systems and strobing systems. Other Socket Bases avaialble for this LED S11, including E17, E26 and E12 base. 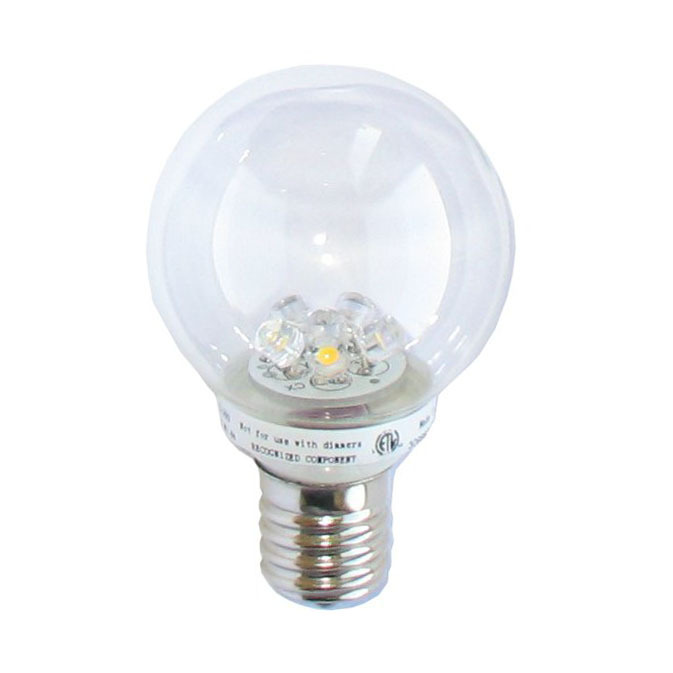 Replaces a standard 10 Watt S11 Incandescent bulb to a 1 Watt LED S11 bulb that lasts 20 times longer, emits little heat, works well installed in chasing systems. The LED S11 with E17 base pictured on right with a clear globe, the E26 clear Globe version on the left and the frosted S11 LED with a medium base in the middle.